USA TODAY Sports NFL reporter Lorenzo Reyes looks at the five players who need to take their games to another level if their teams are going to have a shot at making the playoffs this season. 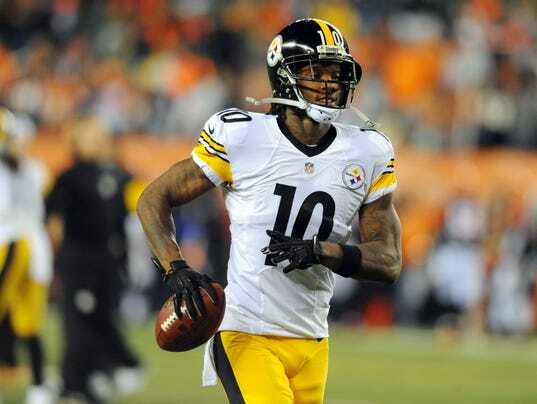 Pittsburgh Steelers wide receiver Martavis Bryant said he’d like to meet “man-to-man” with quarterback Ben Roethlisberger, who was highly critical of Bryant for failing the league’s substance abuse policy — which cost him four games in 2015 and all of last season. Roethlisberger had said that Bryant lied to him and that the wide receiver with a high ceiling “let down” the team. Bryant, who is gearing up for the Steelers’ training camp in a couple of weeks and claims he has been clean for more than a year, said he and the Pittsburgh QB “need to” sit down together to clear the air. “We should have a man-to-man. Because some of the things he put out there about me, I kind of didn’t agree with how he did it,” Bryant told ESPN. “So I want to sit down and hear his own opinion.